Welcome to EFT with Lucie! Get my free ebook on how to get started with EFT by clicking here! This tool summarizes and makes accessible years of experience and it will absolutely jump-start you on your healing journey. In this video I demonstrate the basic EFT formula and show you where the main tapping points are located, how to tap on them, and how to include them in a bona fide EFT recipe, with statements and all. Remember, tapping is a very forgiving process: you cannot do it wrong! Even if you forget a point, don’t remember the proper tapping order, or the number of times you’re supposed to tap on each point, it’s absolutely fine… The only way to do EFT wrong is by not tapping at all. So watch the video below and start tapping! To learn more about me as a practitioner, my background, training, strengths or specialties, please visit the About Me section. 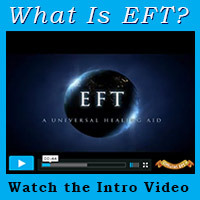 More about the fascinating power of EFT in the About EFT and FAQ sections. Please check the Boston EFT Meetup page to confirm date, time, location and attendance. If you want to give back, you can tell your friends about me or leave a testimony. Vlog #2! This doesn’t apply to me! Lose the extra weight for bikini season: Eat Tap Love! © 2019 Lucie Monroe . All Rights Reserved.